"C.I.D. ", the longest running investigative series on Indian television, will take an intermittent break starting October 28, Sony Entertainment Channel announced on Tuesday. "Having completed 20 years, 'C.I.D.' is the longest running cult show on Sony Entertainment Television. It has been a great journey so far, along with Fireworks Productions, and 'C.I.D.' will now take an intermittent break starting October 28," a statement from the channel said.The last episode of the show will be aired on October 27. 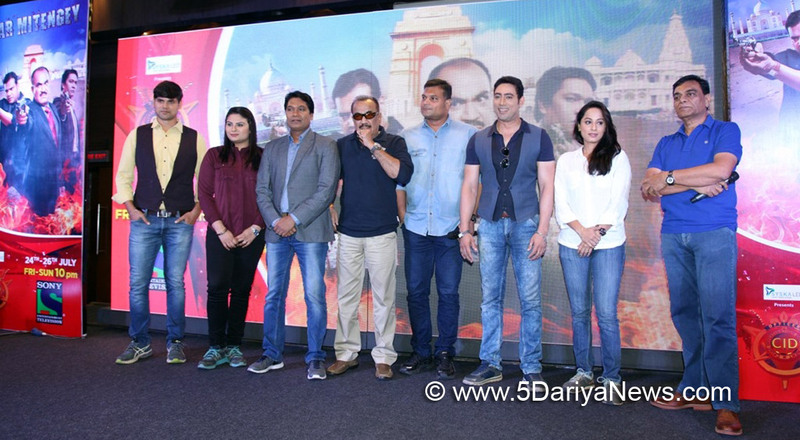 "The show will gear up for a renewed season with a lot more contextual cases keeping alive the thrill that the audience has experienced so far," the statement added.The show, which first began on Sony TV in 1997, is about a team of detectives working for the Crime Investigation Department (CID) in Mumbai. Their main aim is to unravel murder mysteries. Five characters - ACP (Assistant Commissioner of Police) Pradyuman, Senior Inspector Abhijeet, Senior Inspector Daya, inspector Fredericks and Dr. Salunkhe - have become iconic over the years.